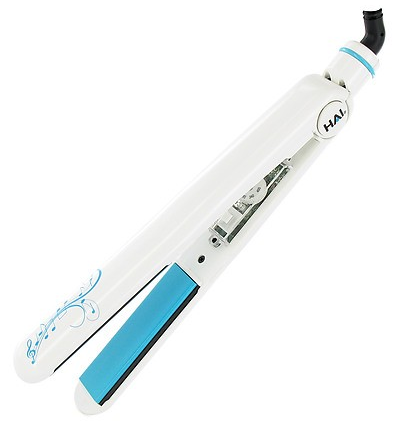 HAI Hot Tunes 1" Ceramic MP3 Styling Iron Just $22.49! Down From $139.99! Ships FREE! You are here: Home / Great Deals / HAI Hot Tunes 1″ Ceramic MP3 Styling Iron Just $22.49! Down From $139.99! Ships FREE! HAI Hot Tunes 1″ Ceramic MP3 Styling Iron Just $22.49! Down From $139.99! Ships FREE! GearXS has this HAI Hot Tunes 1″ Ceramic MP3 Styling Iron on sale for $22.49 (Reg. $139.99) when you use promo code MOM at checkout! HAI Hot Tunes MP3 Styling Iron is the 1st professional styling iron with an internal MP3 player. The high quality nano ceramic tourmaline -infused 1 inch plates leave hair shiny and smooth. Plus, it holds 2 hours of music to listen to your favorite tunes while you style. Product includes 256mb internal memory for storing your favorite songs. HAI quality with latest music technology; makes the perfect gift for those on your list with a passion for hair styling.